Sunday, November 4th at 1pm the Steelers go to Baltimore to battle the Ravens – A matchup among the most intense rivalry in the NFL. If you can’t be there in person, Seacrets Morley Hall is the best place to watch the big game with the jumbo Moore-tron, rumbling floors stadium sound. 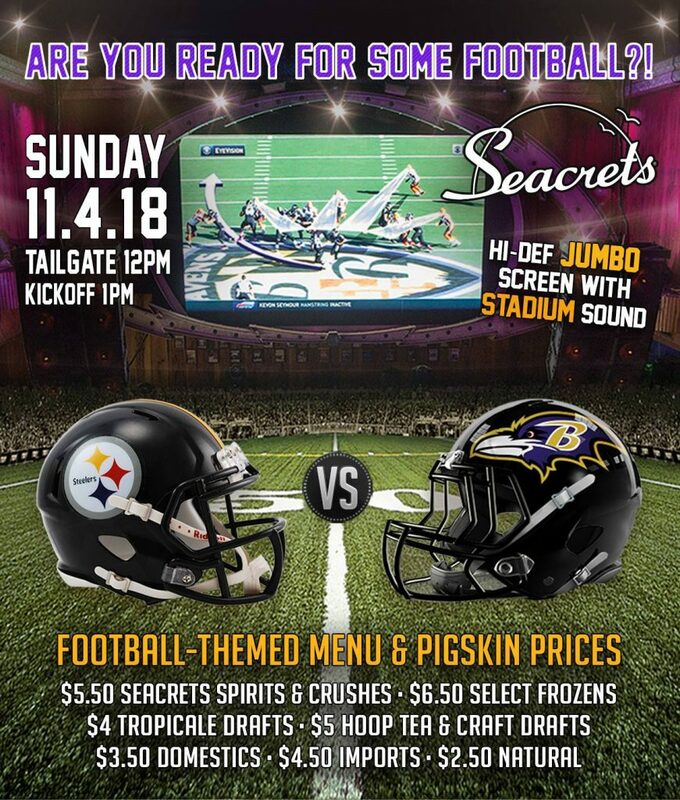 Tailgating starts at noon – Whether you are a Ravens Fan, a Steelers fan or just a football fan, don’t miss a play and come watch all your favorite teams go head to head for the big W.